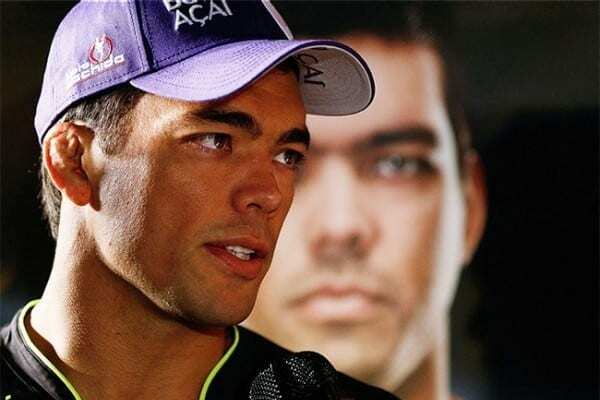 Former UFC light heavyweight champion Lyoto Machida’s Bellator MMA debut is set. “The Dragon” meets former Bellator middleweight champion Rafael Carvalho at Bellator MMA’s Hawaii debut on December 15th, per a report from ESPN. The event will be held at the Neal S. Blaisdell Center in Honolulu. 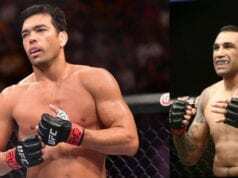 Machida left the UFC after two-straight victories over the likes of Eryk Anders and Vitor Belfort. Machida’s knockout of Belfort came in spectacular fashion, via front kick knockout in May. He subsequently inked a multi-fight deal with Bellator. Carvalho comes off his first loss after going on a 15-fight undefeated streak. He was defeated by Gegard Mousasi, losing the Bellator 185-pound title in the process. It was the first TKO loss of his fighting career. ”He’s a counter striker, but it’s a double-edged sword because I’m also a counter striker,” Carvalho said. Bellator’s Hawaii debut will be headlined by a women’s flyweight title fight between Ilima-Lei Macfarlane and former UFC women’s strawweight title challenger Valerie Letourneau.